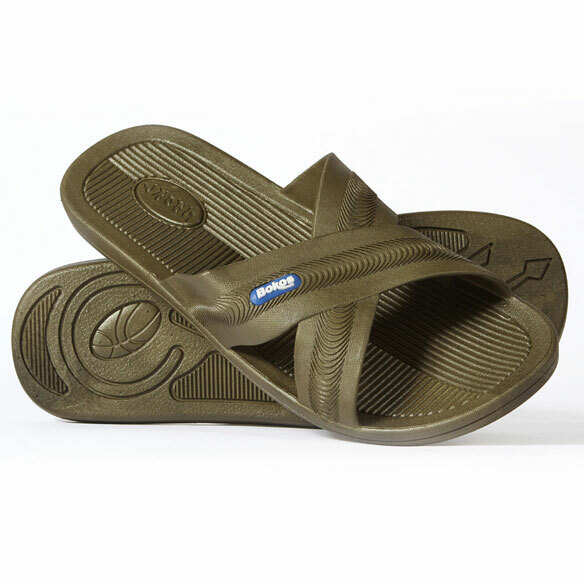 Rugged good looks partner with easy-care comfort in these casual Bokos men's rubber sandal. Flexible, one-piece design adds comfort to every step, with a rubberized sole that grips surfaces for non-slip stability. 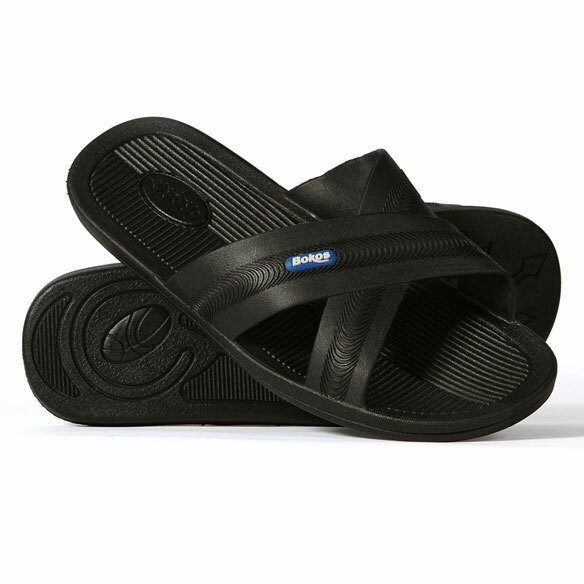 Durable and easy-to-clean men's sandals are perfect for everything from beach adventures to gardening. Non-porous rubber helps eliminate odors and dries quickly. 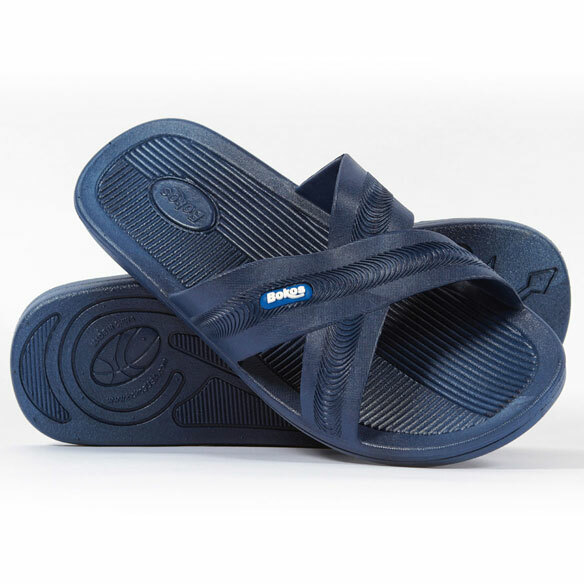 Hand wash these waterproof sandals in warm, soapy water. Choose from 3 colors: black, military green or navy blue. Available in whole sizes 8–12. These are a great choice because you can simply rinse off if they get dirty. I want to use them to step into the shower since they slip on and don't have a heel. Can't bend down to reach to secure a heel strap.